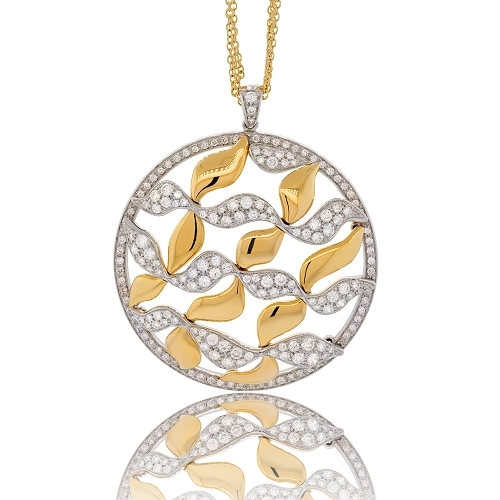 Round pendant with alternating wing design of diamonds and polished 18k yellow gold. Diamonds approx. 2.42ct. Chain 16"